EXECUTIVE SUMMARY: An award-winning technology company has developed an advanced cloud-based IoT platform, along with a portfolio of smart devices to provide energy efficiency solutions for consumers and enterprises. Powered by intelligent algorithms, and allowing third party integrations via a fully developed API, the platform user base rapidly expanded, posing unprecedented capacity and network challenges. The company used CloudBasic’s RDS AlwaysOn/Geo-Replicate for cloud-to-cloud replication from Rackspace to AWS. Using the same replication engine, it was able to offload the primary server by creating fully-accessible RDS Read Replicas for reporting and analytics. A leading Internet-of-Things (IoT) technology company provides cloud-based energy efficiency solutions for utilities, business, and individual consumers. Its Smart Control technology allows users to control and monitor devices from anywhere. Users, for example, can remotely change climate control settings via their mobile devices, or monitor the electricity consumption throughout the home or office. A fully developed API allows third party integration options to technology partners and utilities, which expands the platform even further. With a growing portfolio of energy management devices and services, the company has received numerous industry awards, and is well on track to deliver on the promise of IoT to make users’ daily lives more efficient and convenient. With hundreds of thousands of devices hitting the system APIs, the IoT platform is a 24x7x365 operation in the cloud with no room for downtime. Massive volumes of data must be securely collected in enormous databases, analyzed in real time, and acted upon. While the number of devices, whether actors or sensors, is not yet in the billions, the Internet-of -Things era is upon us, and so are the data challenges that come with it. The database read loads on the main system were reaching unprecedented levels. The original Rackspace cloud solution, with its high performance SQL servers, provided a good foundation for the development of the IoT platform. But with the fast growth of the user base, and with so much important device and customer data at stake, the company realized the urgent need for additional redundancy, security, and most importantly, “read” capacity. View CloudBasic's InterCloud replication benchmark with a sample AWS-to-Azure scenario, involving a 200GB database hosted on an AWS Virginia based RDS R3.2Xlarge instance, geo-replicated asynchronously to Azure SQL type P1. InterCloud SQL Server replication with Read-Replicas for Reporting, Data Locality and BC/DR. If you’re in the business of delivering efficiency on vast scale, you would certainly need the most efficient system infrastructure in your backyard as well. 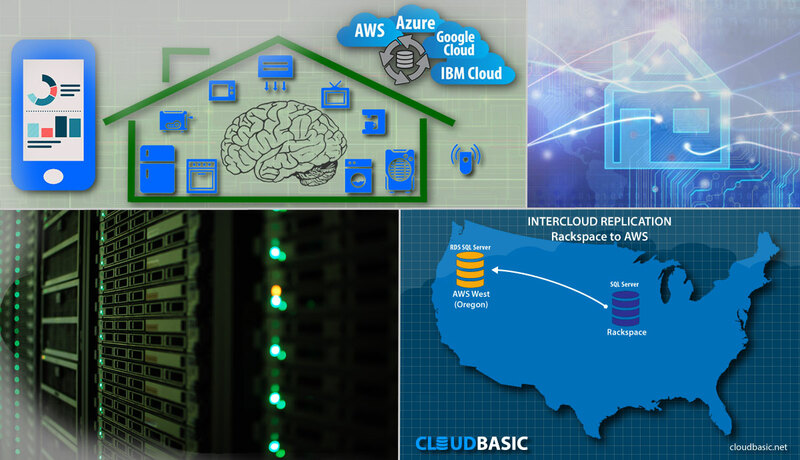 The client leveraged CloudBasic’s robust SQL Server Geo-Replication technology designed for AWS and the InterCloud, to continuously mirror SQL Servers from Rackspace to AWS in an efficient and secure manner. Fully accessible RDS Read-Replicas are created for Reporting, offloading the primary SQL Servers, Data Locality and BC/DR. Cloud redundancy, network efficiency, and deep data insights, all in a secure environment! If the client had chosen the classic synchronous replication, their replica RDS would have been RDS SQL Server Enterprise Edition, which comes with the hefty price tag of $5.81 per hour (r3.2Xlarge, Virginia), or $50,756 per year. With CloudBasic, the client was able to simplify a server replication task with daunting complexity. They had nothing to install at the source. Instead, using a simple web-based interface, they launched RDS AlwasyOn/Geo-Replicate, configured the Rackspace source and AWS destination, and began replicating. InterCloud replication is the ultimate solution for data redundancy. 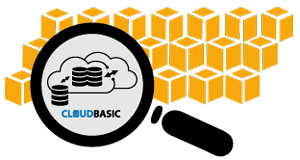 Leverage the cloud at its best and avoid cloud provider lock-in with CloudBasic’s highly scalable architecture, designed for minimal impact on your source systems. For more information about CloudBasic and its cloud technology products and services, please contact CloudBasic.